Atopic dermatitis (AD), more commonly known as eczema, is a common skin disease in babies, small children and some adults. Children typically develop atopic dermatitis during their first year of life and experience dry, itchy, scaly patches on their cheeks, forehead, arms and legs. Atopic dermatitis causes the skin to become extremely itchy so infants may rub their itchy skin on bedding or carpeting to relieve the itch. Excessive scratching can lead to skin infections. Many children or adults with atopic dermatitis have a family history of allergies including hay fever, asthma or food allergies. 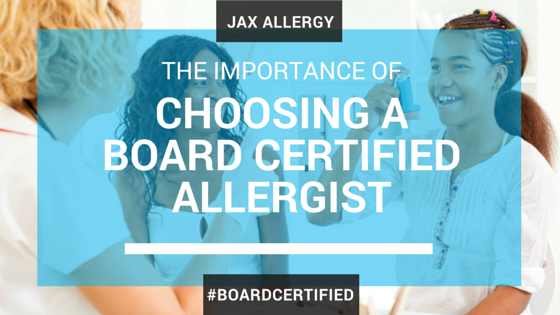 Exposure to certain allergens may cause symptoms to worsen. While no cure is available for AD, treatment and good skin care can offer relief of symptoms and alleviate some discomfort. Atopic dermatitis causes extreme dry and itchy skin. When patients scratch their dry skin, it becomes irritated and often leads to infection. In some cases, tiny blisters appear and release fluid or become dry and crusty. Symptoms of dry, itchy skin combined with scratching and irritation may come and go, though reoccurring rashes may lead to thick or tough skin over time. Mild atopic dermatitis may affect a small area of skin and is usually relieved by a moisturizer. More severe atopic dermatitis affects a larger area of skin and the itch is difficult to control by regular moisturizer use alone. Rashes are common for babies on their face , the back of their elbows, or the front of their knees. Children often develop rashes on their ankles, legs, creases of elbow and knees, wrists, and neck. Adults often experience a rash on their neck or creases on their knees or elbows. Your allergist can tell you if you’re suffering from atopic dermatitis by doing a physical exam and asking about your health history. You may get tested for allergies to find out if allergens are triggering the rash. An allergist can conduct tests to determine if your atopic dermatitis is caused by sensitivities or allergic reactions. An allergy test can help rule out if certain triggers are making symptoms worse. Symptoms can be reduced by avoiding triggers and good skin care. Patients are encouraged to control scratching by covering the rash with a bandage or clothing to avoid rubbing the itch. This may include putting cotton socks or mittens on babies, or wearing gloves at night to keep older children or adults from scratching in their sleep. Symptoms can be relieved by soaking in cool water for at least 10 minutes followed by the immediate application of an unscented moisturizer. Avoid using shampoo until the very end and choose gentle skin cleansers and products that don’t make symptoms worse. No cure is currently available for atopic dermatitis but avoidance of triggers, good skin care, and medicine prescribed by your doctor will definitely help. Untreated eczema can lead to scaring and permanently darkened, thickened skin so it is crucial to control daily flare ups. Allergists are experts in managing atopic dermatitis. They can help identify triggers and provide you with a detailed skin care plan to assure the most optimal daily control. Outbreaks can be treated with creams, antibiotics, or antihistamines. In severe cases of atopic dermatitis, doctors may prescribe pills or recommend ultraviolet (UV) light treatment at a doctor’s office or clinic. If you’re experiencing symptoms of atopic dermatitis, commonly referred to as eczema, schedule an allergy test with an allergy specialist today to find out if symptoms are worsened by certain allergens.